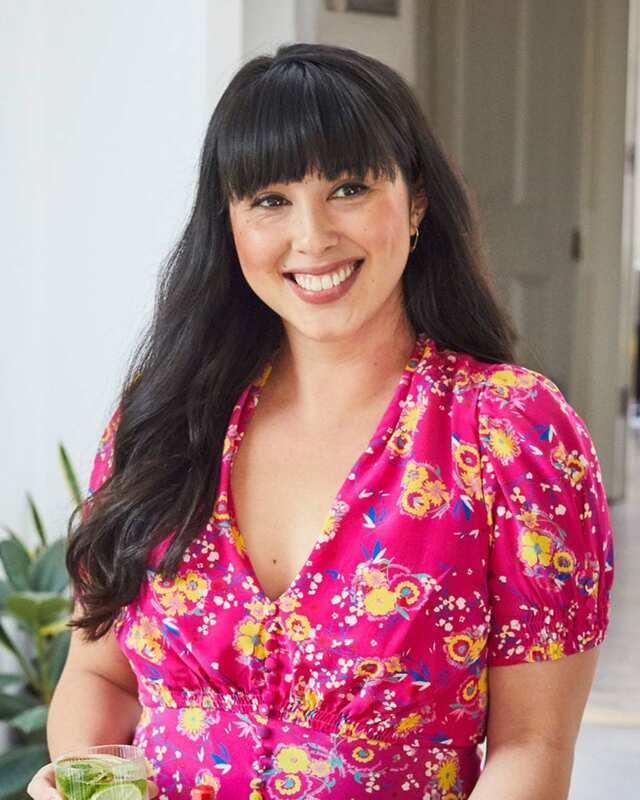 Melissa Hemsley is a cook, author of Eat Happy and one half of the Hemsley + Hemsley sisters. She loves to cook balanced, nutritious food and spends her free time tending her vegetable garden. We caught up with her to see how she’d fare on a desert island. My mum peeling the heads and tails off small sweet prawns then, dipping them in vinegar, and feeding them to me. I remember the feeling of my legs on the scratchy carpet. I still love eating with my hands, always preferred hands over knives and fork! What’s the first recipe you learned to cook? I think it was probably lovely soft scrambled eggs. But the first proper recipe I was taught was by my sister’s best friend, Stephanie, who was like a second big sister to me. She’s Italian and she taught me a proper tomato sauce, I must have still been in primary school. I wasn’t that interested in cooking until I left home at 18. My mum ruled the kitchen; she wanted us out the way so she could cook so we would be left to lay the table and clear up after eating. Even now when we cook together, me, my mum and Jasmine all argue as everyone wants to be the boss in the kitchen. We are a very bossy family. What’s the recipe you can’t live without? I don’t think I could live without a ‘fridge frittata’. I eat them at any time of day: hot from the grill, warm or cold as a packed lunch. I make them twice a week at least. My favourite at the moment is a cheese and onion one; loads of onions, cheddar cheese, grated carrot and then Tabasco Green Sauce on top so it melts into the cheese and makes it taste even better! It tastes spectacular and is the easiest thing to make. 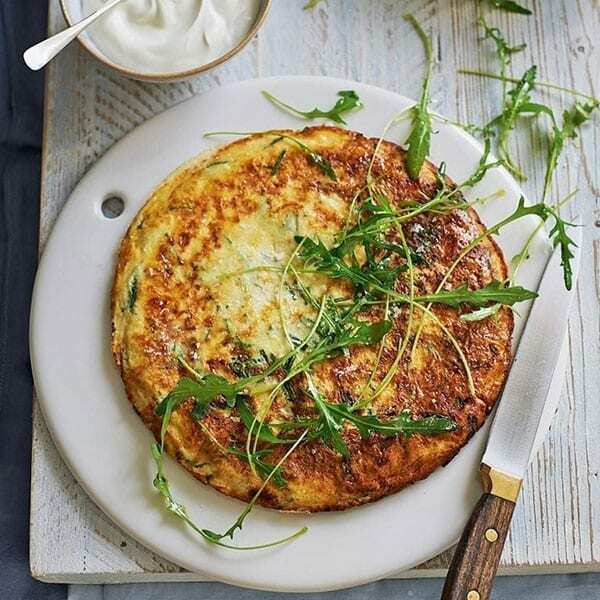 The whole joy of the recipe is that it makes use of what’s in the fridge but I usually use one large handful of sliced onions or spring onions, two large handfuls of grated veg (carrots, courgettes and broccoli are great) and twice the volume of eggs – about six. More often than not I add grated cheddar or feta too. Top tip: I use a grater to do all the work on the onions, cheese and carrot. Saves time and washing up. The kale baked eggs created by Melissa with TABASCO® green sauce. What’s the one ingredient you’d take to a desert island with you? Garlic. And if you let me have one sweet ingredient too – chocolate, please. Dark chocolate. What’s the meal you’d miss the most? I love vinegars and sour and zesty flavours like citrus and tamarind. My Mum is half Filipino and my childhood was full of dishes like sinigang (fish cooked in tamarind and broth) or the national dish, adobo, which is chicken simmered in garlic, vinegar, soy, peppercorns and bay leaves. They’re both super comforting and simple. You can have a one-off dinner party on your island…who would you invite? Megan Hine because she’s super interesting (we did a talk together once) and she’s Bear Gryll’s survival expert so she can give me some tips and keep me alive. London Philharmonic Orchestra for the music and because musicians are so fascinating – I wish I was musical. My four godchildren as they are growing up so fast. They are all utterly charming, hilarious and I don’t mind asking kids to wash up! And then all my friends and family because I feel like no one ever gets together anymore unless at weddings and funerals. Which cookbook would you take with you to the island? The ones that spring to mind are probably those by Madhur Jaffrey or Claudia Roden. I wouldn’t get bored eating their food for an eternity. I was at a literary festival with both of them and they were standing next to me talking and waiting for a bus to take us all somewhere. I couldn’t believe two of my heroes were right next to me. I summoned up every drop of courage, waited until they finished talking and then went and said hello. They were lovely. 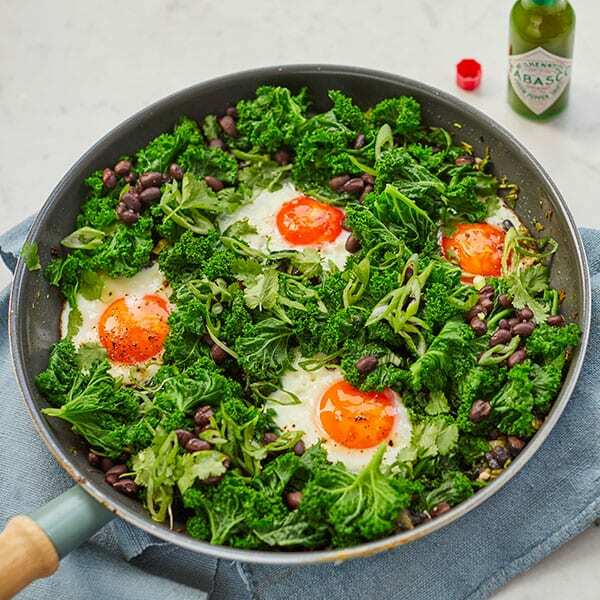 Melissa Hemsley has created a series of healthy and hearty recipes featuring TABASCO Green Sauce to help Brits looking for ways to eat better this year.